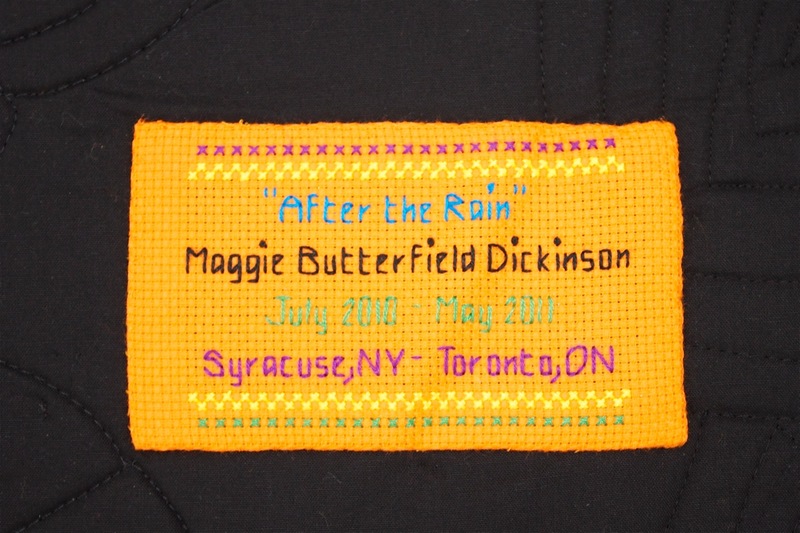 “After the Rain”, 10.5″ x 7.5″ (26.5 cm x 19 cm). Artist’s photograph transferred to cotton canvas. Thread painted by machine. 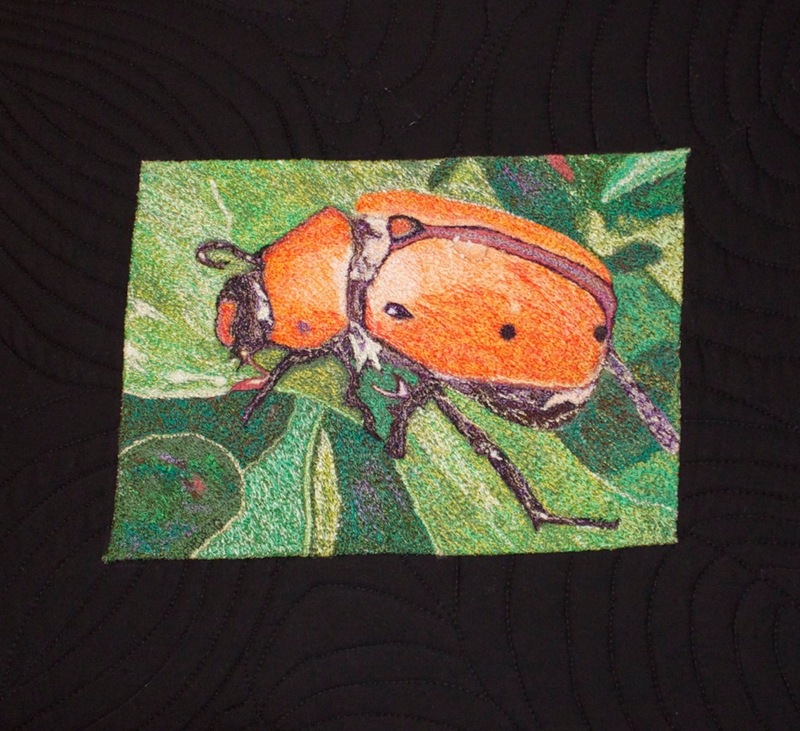 38 colours of thread were used to create the beetle resting on a leaf after a storm.